In the spirit of the past holiday and all the weddings and engagements that took place, once again, I had this conversation which I have had several times with some friends. The question is “should bridesmaids pay for the dresses they wear on the wedding day?” As we know, there are the bridesmaids for the “white” or church wedding and the asoebi girls for the traditional wedding; some people also have asoebi girls for their white wedding. Everyone knows that weddings cost a lot, including financially, energy- and time-wise, and that bridesmaids are typically friends of the bride who are there to support her on her wedding day. Although, contributing money is a way of showing support, I do not think that bridesmaids (not asoebi girls) should pay for their dresses and I will give you some reasons why. First of all, 90% of the bridesmaid dresses that I have seen are ugly! Yes, I said it. 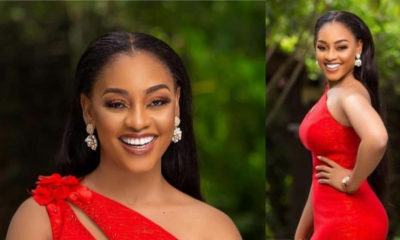 Don’t be deceived by the photography edit or the picture background; many of those dresses are not well sewn and have poor finishing and fitting, including the “ready-made” ones. Majority of the times, the wedding venue, picture arrangement, colours and the accessories, all add up to make everything look better than they actually are on the wedding day. So basically, the pop of colours standing next to groomsmen wearing black or the bride wearing a sparkling wedding dress, the hairbands and the dangling earrings, the flowers, the extra makeup and hairstyling specially done for the day, and just the excitement of the day, would make the bridesmaids and pictures look beautiful. However, after the wedding day has gone by and you bring out that dress that you paid $100 or more for, you start to question whether you can actually wear the dress again regardless of the colour: rose-gold, “pepper-‘em-red”, “cockroach-brown”, “yellow-fever” or “ghost-white”. The reality for most people is that they end up never wearing the dress again, because they find out that the dress is not appropriate for work, or church, as oftentimes the dresses are too revealing; nor is it suitable to wear for another wedding because you might end up looking like a bridesmaid there, when you’re not. You might also not be able to wear it out for dates because let’s face facts, you’re not going be wearing glittery hairbands and holding flowers on your date to help the dress look better. I know some brides will tell you that you can wear the dress for a dinner party but even if the dress is among the 10% of pretty dresses, you have to ask yourself – how many dinner parties do you actually go for? And that is when you end up having one more piece of un-useful item in your suitcase. Secondly, I think bridesmaids already do a lot for the bride and are not as appreciated as they should be. As bridesmaids, you will most likely be added to annoying WhatsApp group chats to help with the wedding planning. I say ‘annoying’ because just like many WhatsApp groups, some people post random, irrelevant things in the group that drain your phone battery and take up memory space. Also, this often means that your phone number will be exposed to strangers; of course you might end up making new friends or in some cases, stalkers. 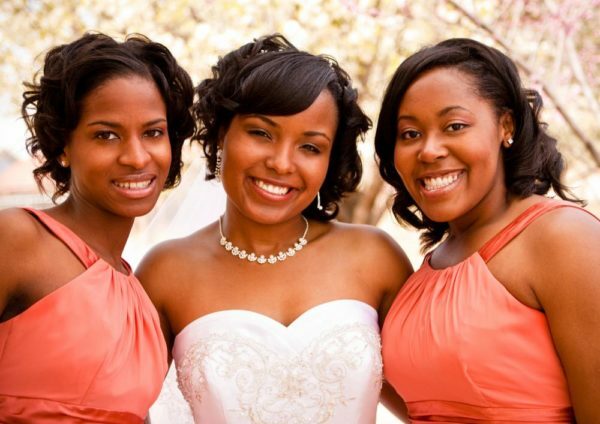 As a bridesmaid, you will also most likely contribute financially to the bridal shower planning and buying her gifts. In addition, most brides would want you to be in the wedding area at least a night before the wedding, which means that you have to forfeit whatever you have to do, whether work or personal, and be there in time for the rehearsal. Let us also remember that bridesmaids have to be up very early in the morning of the wedding day to get themselves and the brides ready. As a bridesmaid, you might not get the time to rest or socialize on the wedding day except for being stuck with a groomsman that you might not care for, who you are also expected to hold hands with to walk down the aisle and dance into the hall with. Lest I forget, some bridesmaids fly in from far and wide to attend the wedding and transportation may be expensive. These are sacrifices that bridesmaid make to make a bride happy, to name a few. Finally, even if you, as a bride, think that the dress is cheap, it might not be cheap to your bridesmaids. You might not know the financial situation of your friend and just because they are in your social circle does not mean that they earn as much as you do or have the same “money providers” e.g. father, boyfriends, sugar-daddies. I have heard of people borrowing money to pay for such matters just because they feel too embarrassed to tell the bride, and I think it is foolish. Inasmuch as bridesmaids want to be there to support you on your special day, try to make things easier for them as a bride. So when I hear of brides make such demands of their bridesmaids such as asking them to pay for ugly dresses (which if you ask me, I would say that some brides pick on purpose to prevent the others from outshining them) or specific shoes, I viciously shake my head. Even though I am more likely to pay for my pair of shoes, why not be considerate and just pick a similar colour and style for everyone, so that the bridesmaids don’t have to buy a new pair if they already have something that matches? After all, most times the dresses are too long and nobody gets to see them. Personally, I think that these costs should be added to the wedding budget instead of putting financial burden on your bridesmaids; after all, it is your wedding, not theirs! In the case of asoebi, I think the bride’s friends can pay for them although at a fair price i.e., the fabric should be at a reasonable cost. 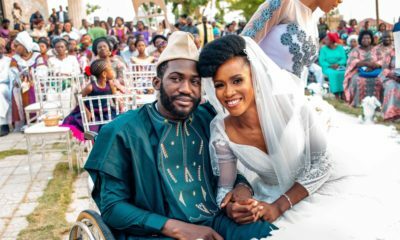 Some brides try to use their asoebi to offset other wedding costs or as a business avenue by multiplying the actual cost of fabric or by adding an extra zero (you know yourselves!). This reminds me of a time my friend paid for asoebi and the bride ended up not sending the fabric to her because she said she had run out of them. After the wedding, my friend asked for her money to be transferred back but the bride said she was going to buy another type of fabric to send to my friend. My friend was genuinely confused; the wedding had gone past so why would the bride think she needed a new fabric? Anyway, I’m sure we have heard these types of stories many times. In conclusion, plan a wedding that you can afford. It is not compulsory to have bridesmaids if you cannot pay for your bridesmaid dresses, unless the bridesmaids contacted you themselves and told you that they wanted to pay for dresses. If you require donations, you can put out clearly labelled boxes in your wedding parties but please do not try to be cunny by extorting people. Having said these, I am not yet married so when it is my time, if I ask you to pay for bridesmaid dresses, please feel free to forward this article to me. nooooooooooooooooooooooooooooo BRIDES NEED TO PAY OR AT-LEAST CHIP IN . oyibo brides pay for their bridesmaids all the time but African especially Nigerian brides will expect you to pay a huge amount without even chipping in to pay for the fabric or something then the annoying part is they think they are doing you a favor by having you on the train. tuehhhh! you will pay for hair, make up,shoe, asoebi/sewing plus gele ,then bridesmaids dress. after the wedding they will txt you THANK YOU 4 months after the wedding mtchewwww. i no do again o i will much rather be a friend/guest. i will even help you clean after dass all. some brides are so ungrateful. That’s NOT true. I live in the States. Bridesmaids here also to pay for their dresses; custom made or rentals. I however agree that Brides should chip in. You know that’s a big lie. American brides DO NOT pay for their bridesmaids’ dresses..maybe hair and makeup but not dresses. Go watch Bridesmaids since we want to do everything oyibos do. Having said that, I think a bride should get the opinion of her bridesmaids on the style of dresses they want to wear based on her theme, ALSO paying for your own dress as a bridesmaid is what a real friend does; if you can afford it otherwise just say politely say no. I am having only three bridesmaids and they will be wearing Something Peridot so that they can rerock their dresses to other events. Otherwise we will look for something WE all like that is within their budget. It’s my wedding but it is their money so they should have a say in their dresses. Being a bridesmaid is all about sacrifice. You have to understand that it’s the brides’s day so you have to set aside your entitlement issues and help her with everything on her day. Remember that it’s called bridesMAID for a reason. Yes, some brides can be nasty but remember you agreed to be her bridesmaids so chuck it up until after the wedding and then lose her number.?? Over flogged topic, guys it’s 2018, This type of topics should not be on BN pages anymore, if you wanna spend any amount of money by all means do and if you don’t please don’t hesistate to opt out, we phased out petty brides and bridesmaids and aso ebi nonsense in 2015 please. Abeg this topic will always be an interesting one. There is always a bride and bridesmaids considering this issue and it’s sometimes good to talk/read about the ins and outs. Thank goodness I don’t live in Nigeria for this reason, I do not know how people continue to afford being bridesmaids as there is always someone you know getting married. But I know many Nigerians love attending weddings so that helps I guess. Many Africans in the abroad have adopted the tradition of asking people to pay but as I barely have one wedding a year to attend I don’t mind. Personally if it got too much I will tell the bride that I have filled my dress/aseobi quota for the year and I can attend as ordinary guest but no more than that. And lastly brides one way to truly show you appreciate is by giving gift bags with goodies inside, it’s not about the amount spent but simply to show you appreciated my efforts in making your day, even if the bag comes months after the wedding. Abegiii, as long as brides keep extorting family friends, and well-wishers in the name of bridesmaids and ashoebi and carrying on as though you should be grateful to them because they “picked” you to be on their train, this topic is relevant till Jesus comes. I’m sorry but this is just total rubbish! I’m sooooo sick of the stereotype of the unreasonable bridezilla who imposes ugly dresses and financial ruin on her friends. Total rubbish. Look I have been a bridesmaid more times than I can count and I only ever agree to be bridesmaid for my FRIENDS! Now if I call you my friend, for ur weeding day I will pay for my dress and whatever else needs to be done why? Because that is what FRIENDS do! The ppl u r describing up there cannot be friends in the first place otherwise u cannot see paying for dress and other things as a burden. When I got married, my FRIENDS were the most supportive. The excitement they all had showing me bridesmaid styles and all. 2 out of 8 of them couldn’t afford to pay for the dress so I gladly paid without even blinking. But I know if they had the money it would’ve been a no brainier for them to pay. Look this is your so called friends wedding day not some event that u r reluctantly being forced to be part of. Look if u can’t afford the dress tell ur bride and if she Insists then just bow out gracefully instead of now painting her as a witch. What kind of foolish friendship is that in the first place?? The way I’m sooooo excited when my friends r getting married there is nothing I wouldn’t do to make my bride happy o. Anyways what do I know maybe I’m just blessed with good friends. I got married in 2013. I didn’t charge anyone a dime. Made simple dresses, provided fascinators, ear rings and flowers for the bridesmaids. For the TM, I Shared Aso-ebi and Gele free for the 12 ladies that accompanied me on my first outing. All these on a budget. I do not understand why anyone should be made to pay for Aso-ebi and bridesmaids dresses. Mrs Bride, shey you want to add colour to your wedding? Then add it to your budget except your friends are eager to show support financially, they can do so willingly. I was a bridesmaids for a friend’s wedding in the US. I paid $200 for the dress. She didn’t pay for it so to Aunty saying Oyinbo brides pay for their bridesmaids dresses thats not true. It was Pricey but I did it because she was a close friend. If you can’t afford being a bridesmaid don’t accept to be one. Simple! I paid almost $600 for introduction, engagement and white asoebi/bridesmaid dresses a few years agp. The bridesmaid dress made us all want to cry, what was promised was a far cry from what came and they were all too big. adjustments had to be made the night before the wedding. I also travelled cross country twice for the weddings but I did it happily because I thought I had a friend. the bride dumped us unmarried friends after her wedding and I vowed to never be a bridesmaid again if it wasn’t for my sisters. This is a good subject. My daughter had her traditional marriage last month and her friends flew in from the US, Amsterdam and Bahamas to do asoebi for her. What she did was to tell them she would love them to do the asoebi and gave them approximate costs. Those that could afford it accepted, others declined. I had to help out one of them though who had challenges with her visa and had to make an extra trip to the embassy. They all had a lot of fun and said they would do this for her again. That’s what friends are for. The key thing here is to ask your friends and real friends will not hesitate if they can afford it. Madam, if I catch you. I will not buy bridesmaid dress for you oh! If you want to be you will prepare your money ?. Or choose to be a regular guest. It is not force. I have done it for friends, you can choose to do it for me, or you don’t, and wear your own cloth and come and seat with regular folks. Yimu! You better know who this is…. what about brides who make money from this bridesmaid and aso ebi thing… buy materials for probably 5k and sell for 10k… have experienced this twice which i declined too. However, i have also paid once coz the bride admitted she could not afford bridesmaid and would scrap it even though she would have loved it. This is understandable but extortion,.. HELL NO!! !